When you are looking for high quality electrical services or your Mountain Brook home, the only name in quality that you need to know is Advanced Electrical Company, LLC. For over 35 years, we have been the local Mountain Brook electricians of choice for home and business owners alike, and we have no intention of slowing down anytime soon. We offer a wide variety of high quality services, so whether you are looking for minor electrical repairs for your home or business property, an electrical panel upgrade, or a complete rewiring, our team of professionals can get the job done, and get it done right. When it comes to the quality of your electrical services, we believe that you should never have to settle for anything less than the best, and when you make the call to our team of experts, you never will. Here at Advanced Electrical Company, LLC, we understand just how important your home's electrical system is to you and your family. Just about every activity that you and your family enjoy in your home on a daily basis depends on a working electrical system in some way or another, and when that system isn't working like it should be, it can be a major disruption to your daily routine, not to mention a serious safety hazard if the issue is serious enough. If your system is experiencing issues, it is always a better idea to leave the repairs to our Mountain Brook professionals as opposed to trying to fix them yourself, as it is very easy to actually cause more damage if you aren't entirely sure of what you're doing. If you have any questions about our full line of high quality electrical services, or if you would like to schedule an appointment for service with one of our Mountain Brook professionals, give us a call today. Our team of experts are always standing by and would be more than happy to assist you in any way we can. When it comes to maintenance for your Mountain Brook home's electrical system, preventative is always going to be a more cost effective and safer option than emergency maintenance, and one of the most important forms of preventative maintenance you can get for your electrical system is an electrical safety inspection performed by a licensed professional. 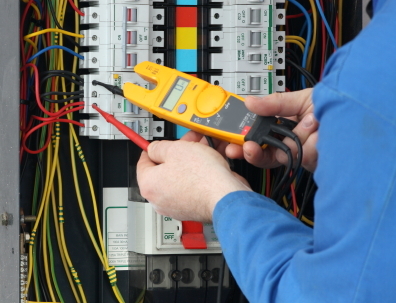 Here at Advanced Electrical Company, LLC, our team of Mountain Brook electricians can provide you with a comprehensive electrical safety inspection to give you an accurate assessment of your electrical systems' condition. Our team of professionals will thoroughly go through your system and make sure there are no small issues that might cause you trouble down the road, as well as getting to the bottom of any issues that might be present. The problems you might be experiencing could very well be a symptom of a much larger issue, and no matter how deep that issue might go, our team of professionals will get to the bottom of it and get it corrected. We offer a wide range of comprehensive electrical services, so no matter what your issue might be, or how complex it is, you can rest assured that our team of Hoover professionals are up to the task. If you have any questions about our full line of high quality services, or if you would like to schedule an appointment for service, give us a call today. Our team of experts are always standing by and would be more than happy to assist you in any way we can. Your electrical panel is easily one of the most important parts of your entire home's electrical system. Your electrical panel is responsible for distributing the power your home gets from the line outside all throughout your home where it needs to go, but if your Hoover home's electrical panel is a bit older, it might not be equipped to deal with the power demands of your house. Most modern homes require a great deal more power than homes of even ten of fifteen years ago, and if your electrical panels isn't designed to handle that kind of load, you could find yourself experiencing a number of different issues, from the more inconvenient like constantly tripping breakers and dimming lights, to more serious issues like overheating wires and even melting breakers. Investing in an electrical panel upgrade for your Hoover home will not only help to resolve these issues if they are present, or prevent them from occurring, it will also help your home to function more efficiently and effectively overall. Thank you for your compassionate, ethical, and professional operation.